RSVP for Eloia Born’s Launch Party! Join us at the launch party on Saturday, January 26, 2019 from 5-8pm at the Writing Barn in Austin, TX. Pre-order Sale & RSVP for the launch! 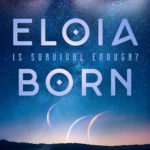 Eloia Born – releases January 2019!